It's no secret that modern life depends on reliable sources of energy. So far, most of our energy consumption has come from fossil fuels, such as oil and natural gas. But as technology improves, newer, cleaner technologies are beginning to make their mark. Join us as John Goodenough, Professor of Materials Science and Engineering at The University of Texas at Austin, explains the challenges we face to liberate modern society from fossil fuels and answer your questions about new battery technologies and the responsibilities of government, industry and the university in a technical society. John Bannister Goodenough is the Virginia H. Cockrell Centennial Professor of Materials Science and Engineering at the University of Texas at Austin. In the 1950's, Goodenough developed the magnetic memory element for the first random-access memory (RAM) of the digital computer. In the 1960s, he clarified the electronic properties of the transition-metal oxides. In the 1970s he turned to energy materials and enabled the Li-ion battery of the wireless revolution. Recently he has been working on developing a remarkable glass brought to him from The University of Porto, Portugal, for a new type of rechargeable battery. Goodenough received a B.A. in Mathematics from Yale University in 1943 (Class of 1944) while serving as a meteorologist in the USAAF during World War II; he obtained an M.S. and Ph.D. in Physics from the University of Chicago in 1951 and 1952. 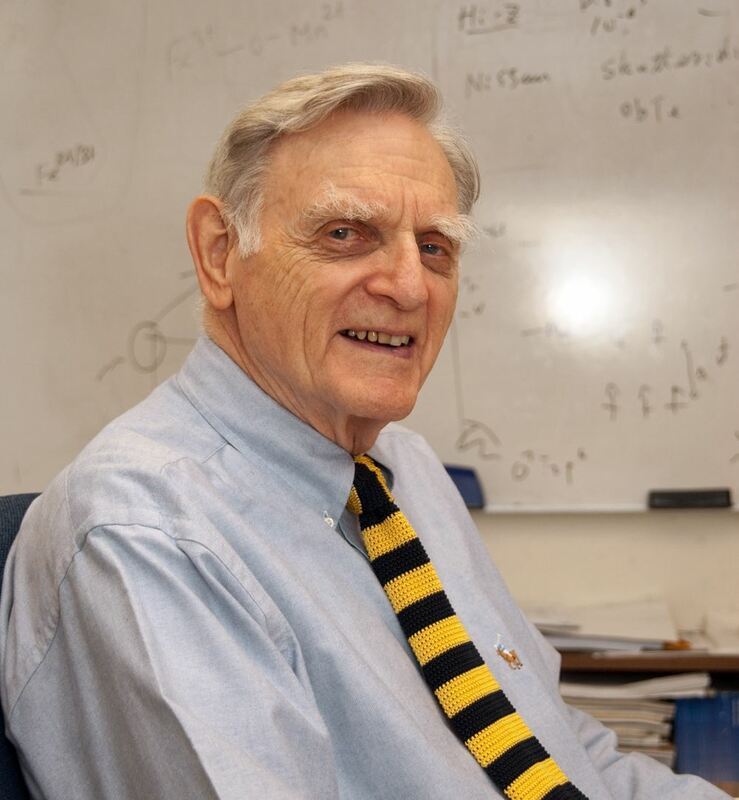 From 1952 to 1976, he was a Research Scientist and Group Leader at the MIT Lincoln Laboratory. In 1976, he accepted an appointment as Professor and Head of the Inorganic Chemistry Laboratory in Oxford, England; and facing retirement in England in 1986, he accepted his present appointment in the College of Engineering at the University of Texas at Austin. One lucky MBC member attending breakfast October 11 will win a framed color print (16” x 20”) of the iconic Texas Capitol building, generously donated by Gary Seale of Caliber Home Loans.. Pick up your raffle ticket with your MBC name tag; must be present to win. Don’t delay! Sign up for your place at breakfast now! Attention, members: On October 25, 2017, the current MBC Board will present a slate of candidates for the next Board term. Nominations will also be taken from the floor. Voting also will take place on October 25. If you have questions, contact BJ Bludau, current Board President, or Garland Cole, Nominations Committee Chair.